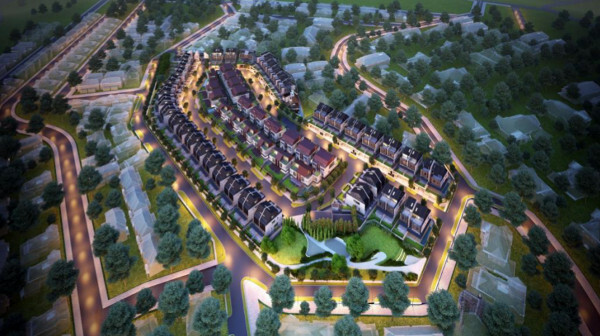 Capitaland set to launch its landed development officially at Victoria park villas this weekend. With a total of 3 bungalows and 106 units of semi detached, this 109 landed units sit of a huge land of 403,000sf at junction of victoria park and coronation road. This 99 years leasehold development is estimated about 10 mins walk from 2 mrt stations - Tan Kah Kee MRT station and Farrer Road MRT Station and also near to several good school like Nanyang Primary School. Prices for the 3 bungalows range from 11 to 12 millions while the semi detached range from $4.4m to $7.6 million with the sizes ranges from 4166sf to 6943sf. Land size average about 2000sf. Prices is expected about $6million during bullish years. Capitaland won the top bid back in June 2013 at $908psf ppr. With the current pricing from $4.4xm, it is expected to sell at least $1 million more during good times. This development will likely attract those within the vicinity, those who wanted to move in to a brand new landed development and also those who looking for a new landed development near good schools like nanyang primary school. Being a new landed property, home owners can save the time and cost of building a new landed from scratch. This weekend official launch developer will be offering a 12% vvip preview discount and also extra discounts of up to another 3% discount with certain criterias based on their current address, repeat customers etc. So far, total of 7 units were sold. RSVP for Victoria Park Villas Showflat Preview.